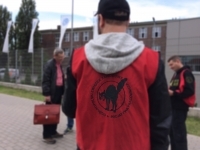 After negotiations between both trade unions [Inicjatywa Pracownicza and Solidarność] and management representatives from Amazon Poland, the controversial system of employee evaluation [“feedback”] was suspended for a period of four months. 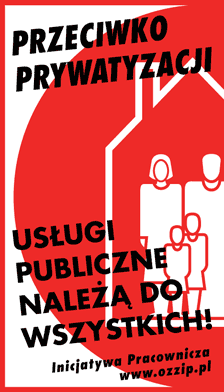 The system has been criticized by Inicjatywa Pracownicza base union for many months. Dear friends from MAD4! We are impressed by your mobilization and your determination in the fight to maintain and improve your working conditions and wages. We want to express our solidarity and wish you good luck and stamina for the struggle against Amazon! A former Amazon worker from Poland who had been dismissed due to a sick leave won her case on November 22, 2017. Another official reason for her dismissal was unjustified absence that had happened months before. The court found the dismissal unfounded. The verdict is not binding yet. 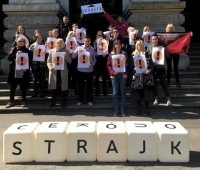 Ten utwór jest dostępny na licencji Creative Commons Uznanie autorstwa-Na tych samych warunkach 3.0 .